Do you live near a fracking well? If you do, I’m here to tell you that you should be worried. Especially if you have asthma. If you look beyond the environmental degradation and the disaster risk, fracking is also associated with health problems in humans—and particularly those who live close to extraction sites. And some brand new research is showing that the closer you live to a fracking site, the more likely you are to have asthma and experience severe asthma attacks. Billed as one of the most dangerous forms of oil or natural gas extraction, fracking (short for hydraulic fracturing) involves shooting liquid at high pressures into underground rock to force open cracks and fissures to release oil and gas. At the center of a number of controversies, it’s widely regarded as a big hazard for the environment. And now we have more proof about the potential health fallout. Looking at residents in north and central Pennsylvania, where a number of natural gas fracking sites are found, researchers learned that the closer people lived to the sites, the worse their asthma got. As those who suffer know, severe asthma can mean life-threatening episodes and hospitalization. Why Does Fracking Affect Asthma Risk? At this point, the exact reason for the connection between fracking sites and nearby residents’ asthma getting worse isn’t known. There are a variety of factors, including noise, stress, sleep disruption, and industrial traffic. One thing we do know that could play a big part here is that fracking uses chemical solutions as part of its processes; in fact, it’s said that some of these are even known carcinogens. So there’s obviously some related air pollution and maybe even some groundwater pollution. Fracking and Asthma: What Can You Do? What can you do? First up: move. Maybe it seems extreme, but if you leave near a fracking site and your asthma has been getting worse, you should consider moving to be an option. Whatever you decide, your next step is to look at other ways to help reduce your suffering and chances for a potentially fatal asthma attack, and I’m happy to assist! Unfortunately, asthma has no identified cure, but that doesn’t mean you are powerless against its grasp. 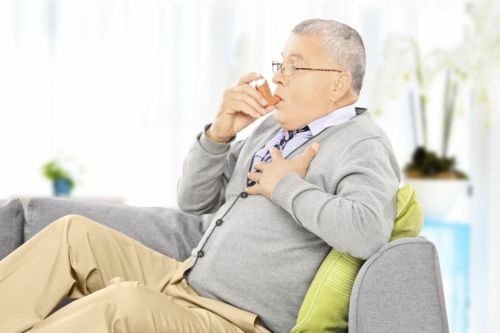 If asthma attacks leave you gasping for air, a corticosteroid inhaler is your must-have defense. When it comes to this condition, you can’t fool around; always have your inhaler with you and use it when you’re having an attack. However, there are a few complementary natural methods that might be effective for handling the condition in addition to using your puffer. The first step is to identify things that trigger your asthma. If animal fur, smoke, or an atmospheric pollutant stimulates an attack, try your best to limit your exposure to it. This may include staying indoors when air quality is low and humidity is high or avoiding visiting people who have animals or smoke cigarettes. If you’ve never had an allergy test, get yourself tested as soon as you can; you’re looking for food allergies in addition to environmental irritants. Of course, you also now know that checking to see if you’re near a fracking site is another big step you can take. Asthma attacks may also be thwarted or reduced in severity by finding effective ways to relax. Emotional stress may induce attacks, so practicing techniques like deep abdominal breathing, mindfulness, tai chi, yoga, and guided imagery may help prevent asthma attacks. There’s no diet that will totally eliminate your symptoms or your need for having an inhaler on hand. But dietary measures can help limit attacks. Omega-3 fatty acids, found in fatty fish like salmon, can help battle inflammation (a culprit behind asthma), as can ginger and turmeric. So add more of these to your diet on a regular basis to see if they can help reduce your suffering. I find ginger particularly easy to add in; you can add fresh gingerroot to a multitude of dishes in the same way you do garlic or just make a cup of fresh ginger tea a daily ritual. You should also up your daily intake of antioxidant-rich foods, such as vegetables and fruits, to help reduce inflammation in the body and in the lungs in particular. As usual, I recommend you balance these out with healthy fats and whole grains. Chen, A., “Fracking wells may increase asthma attacks, study says,” CNN web site, July 18, 2016; http://www.cnn.com/2016/07/18/health/fracking-increased-asthma-attacks/index.html, last accessed July 25, 2016. American Thoracic Society, “Ginger compounds may be effective in treating asthma symptoms, study suggests” Science Daily, May 19, 2013; https://www.sciencedaily.com/releases/2013/05/130519145647.htm, last accessed July 25, 2016. Keifer, D., “Is there a natural cure for asthma?” Web MD, May 30, 2014; http://www.webmd.com/asthma/guide/natural-cure-asthma, last accessed July 25, 2016. Weil, A., “Asthma,” Dr. Weil web site, 2016; http://www.drweil.com/drw/u/ART00306/asthma.html, last accessed July 25, 2016.